Cool mini robot find from the Time Tunnel Toys San Jose toy show. 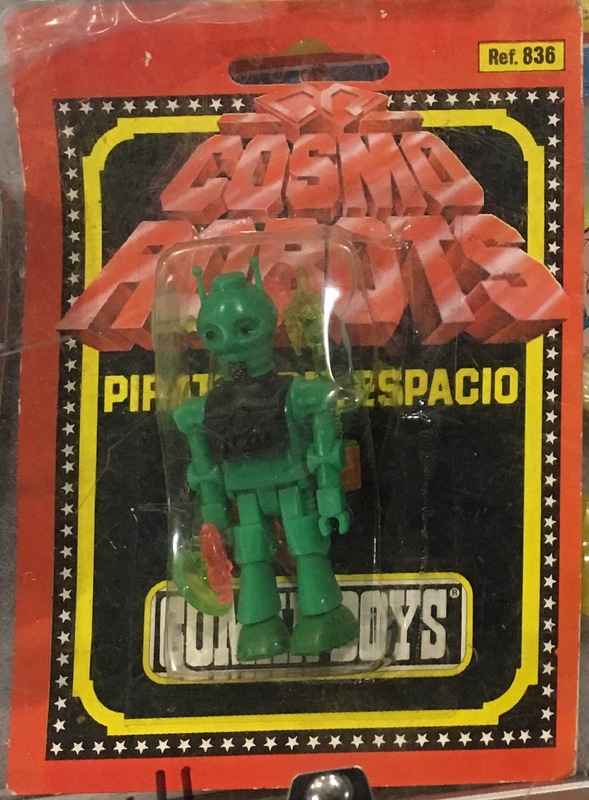 I’m not at all familiar with the Cosmo Robots line of toys. I’m assuming it is an import given the bilingual packaging. If you know something about it, or others in the series, I’d love to hear from you.